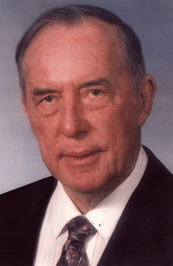 Derek Prince (1915-2003), was an International Bible teacher and founder of Derek Prince Ministries International, wrote more than fifty books. He was born in India of British parents. Educated as a scholar of Greek and Latin at Eton College and Cambridge University, England, he held a Fellowship in Ancient and Modern Philosophy at King’s College. He also studied Hebrew and Aramaic, at Cambridge University and the Hebrew University in Jerusalem. His daily radio broadcast, Derek Prince Legacy Radio, still reaches listeners around the world. alone, for I always do those things that please Him.” I am no longer motivated by personal ambition.